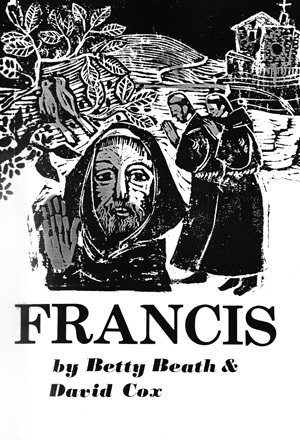 The philosophy of Saint Francis is as valid as it ever was. He preached love, humility and simplicity. He was not a dour man; he loved to sing. Sometimes he would draw a stick across his arm as though, like a jongleur, he were playing a violin. We hope that Francis might be performed by adults for children or by children for adults. Drawings of costumes are meant as suggestions only. We feel that simplicity should be a serious aim in the production of the play. it is a simple entertainment…remember, Francis loved the jongleurs.